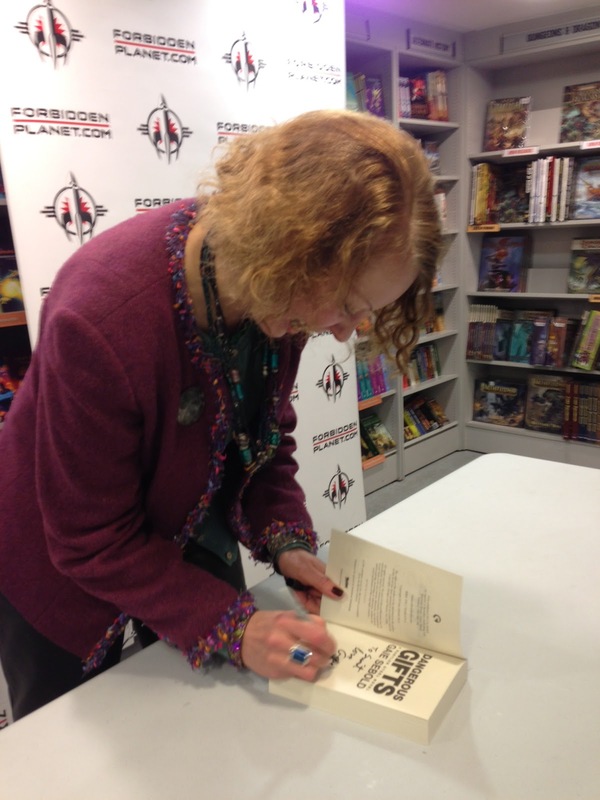 The Solaris Editors' Blog: By the (signing) of Babylon, where we sat down: launching DANGEROUS GIFTS with Gaie Sebold! 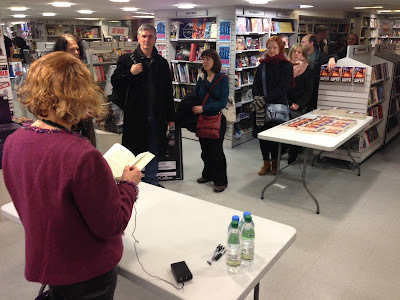 By the (signing) of Babylon, where we sat down: launching DANGEROUS GIFTS with Gaie Sebold! 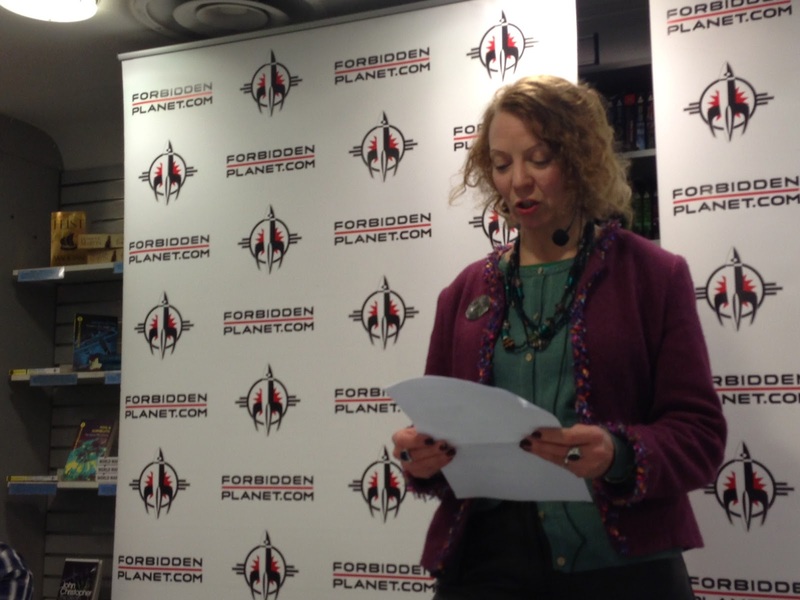 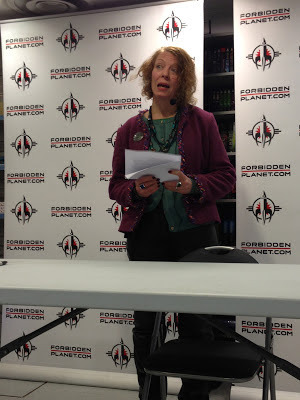 Forbidden Planet in London ever-so-briefly became the haunt of mercenaries and madams yesterday as we launched the latest Babylon Steel novel from Gaie Sebold, Dangerous Waters, into the world! Thanks to everyone who turned out to listen to Gaie give a couple of short readings before getting a copy of the book signed by her!